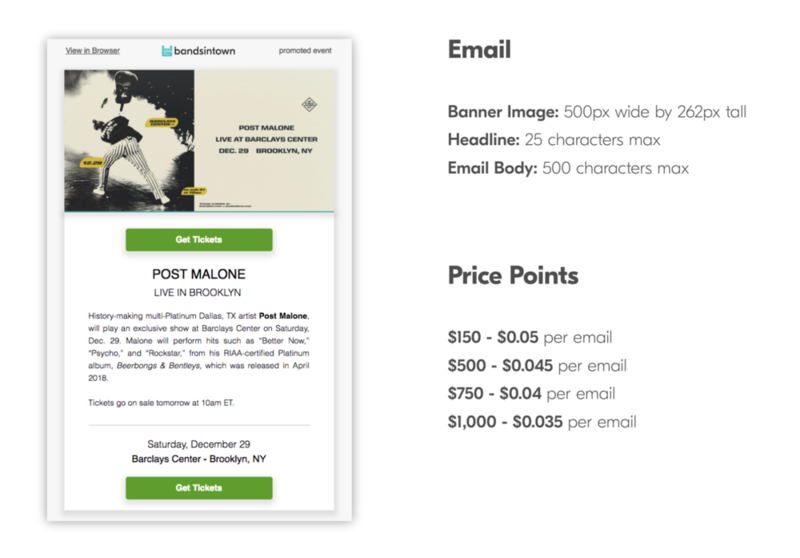 Bandsintown Promoter provides hyper-local dedicated email, mobile push, and Facebook retargeting solutions to thousands of promoters, managers, artists, venues and labels every year. To submit your order be sure to head to our self-serve platform and start promoting your shows! Getting your message out is important to us as much as it is to you. 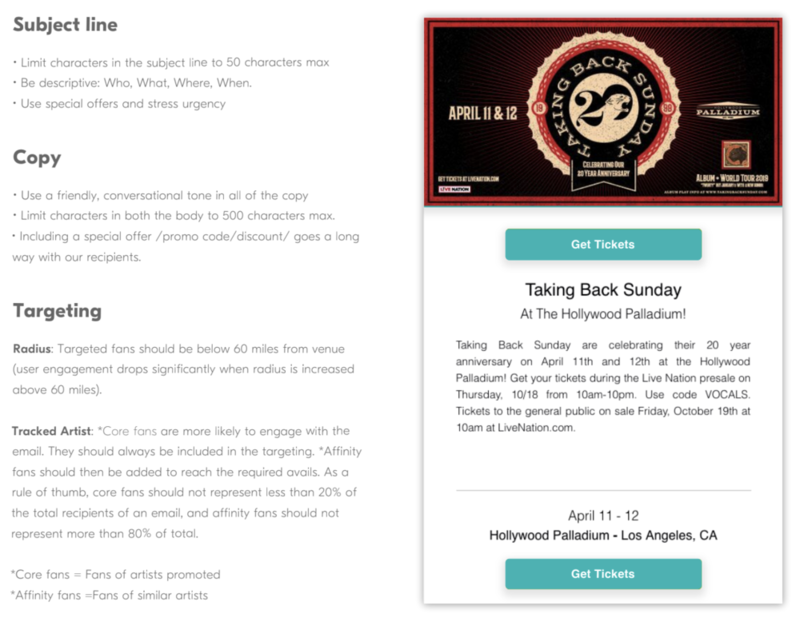 Here are some tips on using our promoter platform to reach your key audience. Open rates tend to be highest on Tuesday, Wednesday, and Friday, with a significant drop-off on Sat. Click through rates remain relatively flat throughout the week, with a slight peak on Tuesday. Overall, Tuesday is the optimal day to send an email campaign. Only minor variance in performance is observed throughout different hours of the day. Modest open rate spikes are seen however at 10AM, 12 PM, 4PM. Click through rate seems to peak around 10AM and after 6PM. Want to promote an upcoming show? Be sure to head to Bandsintown Promoter and start promoting your shows today!